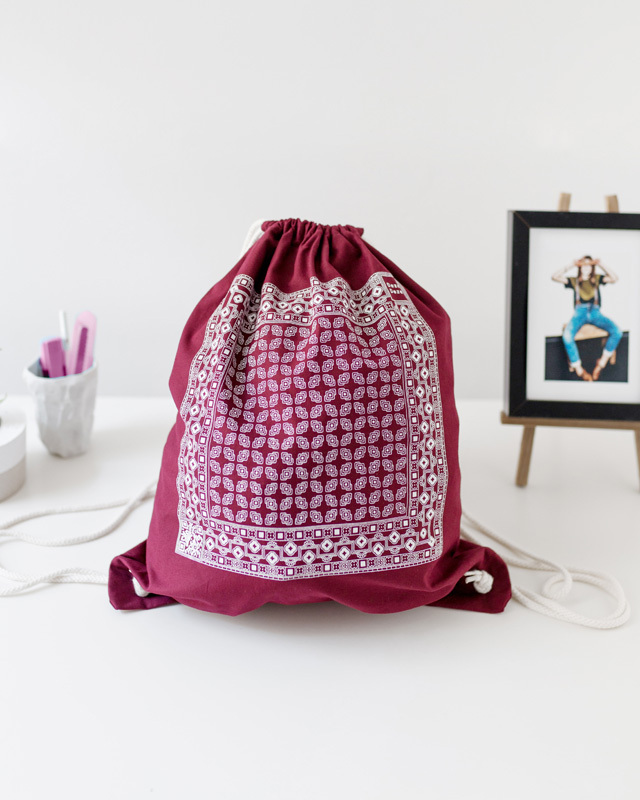 Dezen Dezen — Loving now: the Drawstring Backpack! If you are currently planning you next trip by the seaside or you are reading this while tanning by the waves, you know it. Summer is here! Trieste feels tropical these days with hot temperatures calling us to the beach almost every weekend and we cannot resist. That's why we are in love with our drawstring backpacks which have become faithful companions on our summer adventures. Lightweight, made with 100% organic cotton, Fair Wear and Carbon Trust approved, these backpacks can take you from day to night. In the morning by the sea, they can carry everything from your personal belongings and your favorite book, to your towel and snack. In the evening, throw in the essentials for a live concert under the stars or a night out with friends, knowing that your belongings will stay safe. While wearing it, no one will be able to open your backpack without you realizing it. Matching your every look, our drawstring backpack comes in a variety of colors to choose from. Black, dark blue, white and burgundy are the perfect background colors to our signature dezens that make our backpacks ultimately unique. As in each and every one of our creations we use eco-friendly inks to hand-print our traditional patterns, which will surely turn heads at the beach. Don't be afraid to bring your drawstring backpack to any adventure as it's machine washable and always ready to transform your look!